"...keeps you turning the pages"
Love is evolutionary . . . Although partly set during a crucial era of human history 74,000 years ago, Bone Lines is very much a book for our times. Dealing with themes from genetics, climate change and migration to the yearning for meaning and the clash between faith and reason, it also paints an intimate portrait of two extraordinary characters. The book tackles some of the big questions but requires no prior or special knowledge of any of the subjects to enjoy. Inspired by a series of ‘what ifs’ Bone Lines is a debut novel that has come to life through the professional publishing platform of Unbound. This innovative form of book-making delivers the power to commission literature into the hands of patrons and readers, allowing an array of distinctive, off-beat or undiscovered stories to take shape – and for a variety of fresh voices to find their audience – in the way that mass-market models often struggle to. 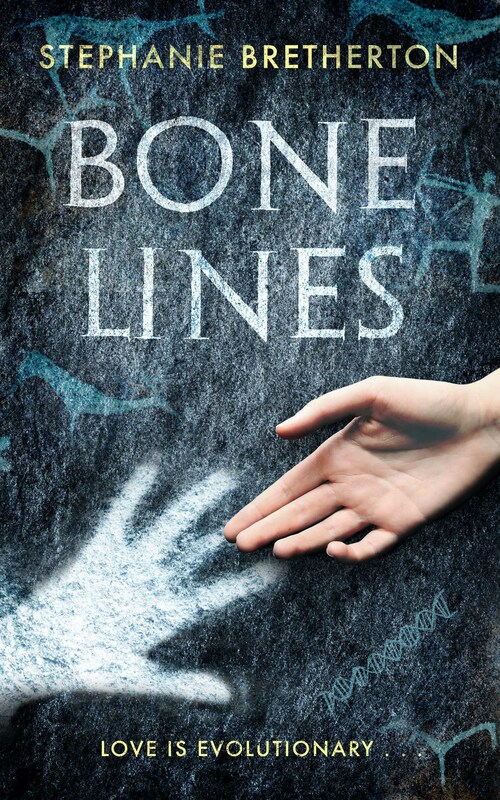 Bone Lines stands alone as a novel but also marks the beginning of the Children of Sarah series. Bone Lines is also available from independent bookshops up and down the country, including Edge of the World, Penzance, Max Minerva’s, Bristol, Broadhursts of Southport, Owl Bookshop, Kentish Town, and Primrose Hill Books. And for free international shipping the book can be ordered here. The ebook is available from Amazon, the Apple iBook Store and Kobo. GRACEFULLY WRITTEN… THE DUAL NARRATIVE REACHES OUT ACROSS TIME TO RELATE THE INTERWOVEN STORIES OF TWO WOMEN. Who do you think you are? A daunting question for the debut author… but also one to inspire a genre-fluid novel based on the writer’s fascination for what makes humanity tick. Born in Hong Kong to a pair of Liverpudlians (and something of a nomad ever since) Stephanie is now based in London, but manages her sanity by escaping to any kind of coast, particularly far west Cornwall. 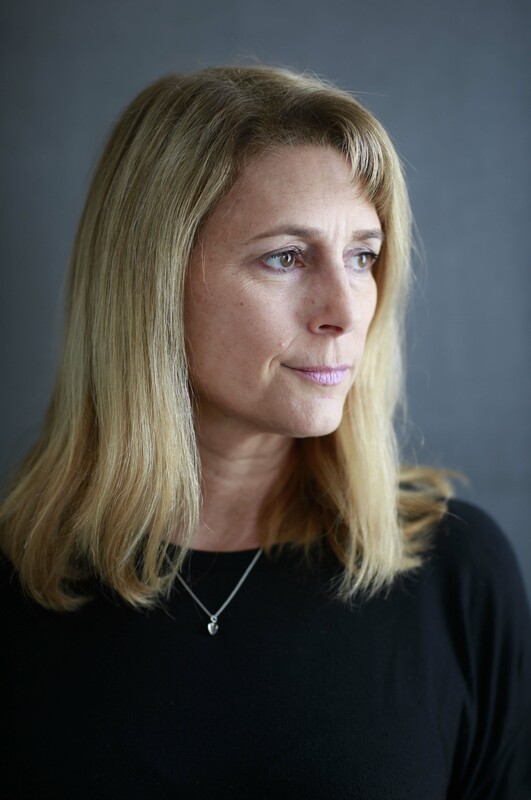 Before returning to her first love of creative writing, Stephanie spent much of her youth pursuing alternative forms of storytelling, from stage to screen and media to marketing. This included reading Drama at Bristol University, an improvised play at the Edinburgh Fringe, six weeks at The English Theatre of Hamburg, a year of reading the weather report on Hong Kong TV, a few nervous lines with a future James Bond, a car chase in a cult Cantonese action movie, regular contributions to an indie cultural mag in LA, many lines of copywriting and some well-earned wrinkles acquired at her own PR company, specialised in design. In the meantime an enduring love affair with words (some may say she talks too much) and fiction have led her down many a wormhole on the written page. But any storyteller can attest that creating a few characters for company is a thrill (or therapy) that’s tough to match. Even if the day job means confining such imaginary friends to the witching hours or countless misplaced weekends. Or when new ideas, themes and obsessions must be followed like Alice’s rabbit, no matter where they may lead. Read about the journey to creating Bone Lines here. Over the spring, Stephanie will be taking part in a number of bookshop events across the UK. BREAK THE ICE . . .